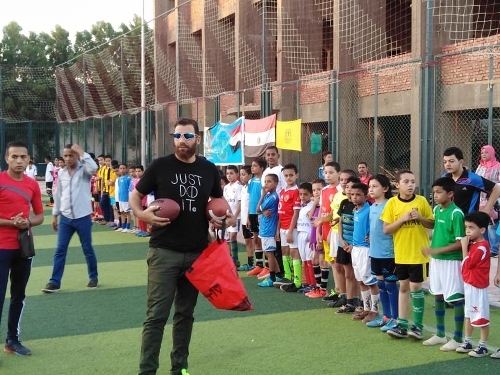 Last week, World Footy News reported on the development of the game in Egypt through the work of Professor Mohammed Hashem and hundreds of enthusiastic kids embracing his Auskick In Egypt program (see:Spirit Of Ancient Egypt). Since then, things have moved quickly in Egypt. As this story is being written Professor Hashem (Mo Hash) is in the far south-western Egyptian location of New Valley within the greater New Valley Governorate. He is there running Auskick-style clinics to another gathering of wildly excited kid embracing the game. What makes this clinic particularly special is the location. New Valley is around 1000 kilometres south of the Egyptian capital city of Cairo. It is roughly due west of the Nile city of Luxor. The region sits within the eastern fringes of the Sahara Desert, close to both Sudan and the Libyan border. If I had been asked to find a more remote part of the world, New Valley would go close – as a kid I was enthralled by the magic of the isolated (now dry) Lake Chad in near-neighbouring Chad, south of Libya. It certainly isn’t a part of the world synonymous with Australian Rules football. However, things are changing rapidly – driven heavily by Mo Hash and his committed team. 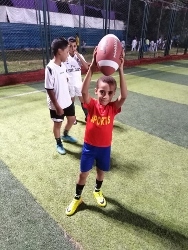 The photos shown here are of kids taking to the synthetic football (soccer) field in New Valley. According to Mo Hash, “it’s [the game] is catching on like wildfire.” His team had 1000 kids waiting for him. 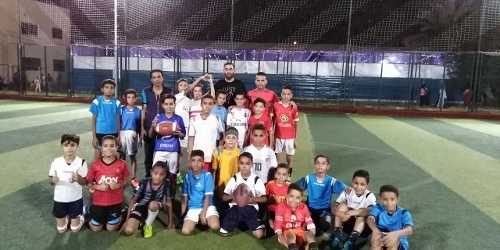 This remote region marks the fourth “Auskick In Egypt” location along with two in Cairo and one in Mansoura to the north of Cairo towards the Mediterranean Sea. 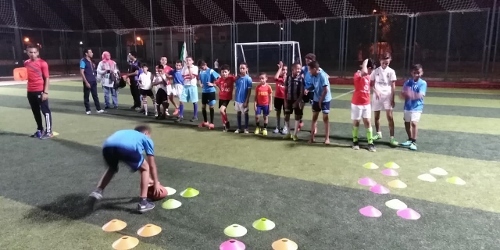 It is hoped that some videos of the clinics will be available in the near future.